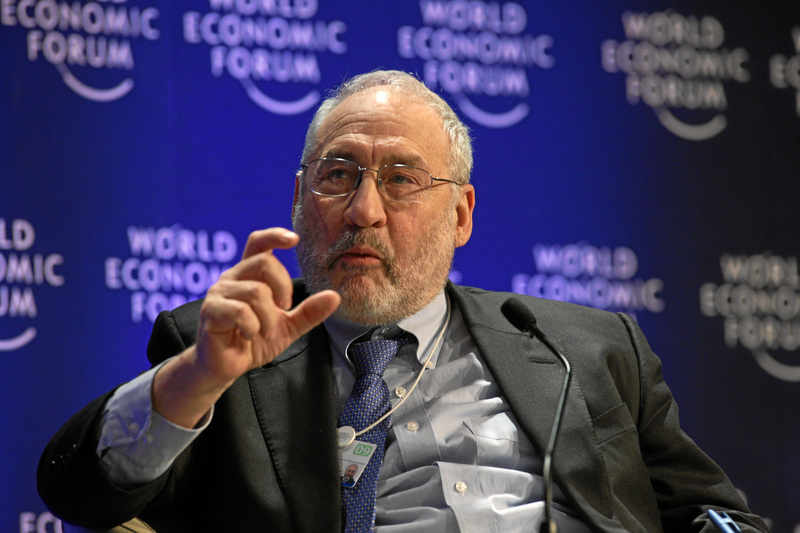 The point that Stiglitz was making is that the government of India should spend more than it currently plans to. Further, the Reserve Bank of India(RBI) should cut interest rates further and encourage people to borrow and spend more. Of course, all this extra spending will lead to some inflation, with more money chasing the same quantity of goods and services. But that will be a small price to pay for economic growth. This economic growth will lead to lower unemployment and in the process lower inequality. This is precisely the kind of argument that was made during the Congress led United Progressive Alliance(UPA) regime, to justify the high rate of inflation that prevailed between 2008-2009 and 2013-2014. The trouble is that there is enough evidence that suggests otherwise. Over the last five to six decades, countries which have grown at a very fast pace, have had very low rates of inflation. The point is very clear, inflation is not good for economic growth. There is enough evidence going around to show that. The same can be said in the Indian case as well, when the inflation surged between 2008-2009 and 2013-2014. It ultimately led to economic growth collapsing. In 2007-2008, inflation was at 6.2 per cent and the economic growth came in at 9.32 per cent. In the aftermath of the financial crisis that started in 2008-2009, the union government increased its expenditure in the hope of ensuring that the economic growth did not collapse. The government expenditure budgeted for 2008-2009 was at Rs 7,50,884 crore. The final expenditure for the year was at Rs 8,83,956 crore, which was around 17.8 per cent higher. The expansive fiscal policy led to inflation, which in turn led to lower economic growth in the years to come. The increased government spending led to high inflation in the years 2009-2010 and 2010-2011, but at the same time it also ensured that economic growth continued to stay strong in the aftermath of the financial crisis. Nevertheless, high inflation ultimately caught up with economic growth and it fell below 5 per cent during 2012-2013 and 2013-2014. The point being that extra spending and lower interest rates leading to inflation might help bump up economic growth in the short-term, but over the longer term it clearly does not help. What made the situation even worse was that RBI did not get around to raising interest rates as fast as it should have. High inflation also leads to a situation where the household financial savings fall. This is precisely how things played out in India. Between 2005-2006 and 2007-2008, the average rate of household financial savings stood at 11.6 per cent of the GDP. In 2009-2010, it rose to 12 per cent of GDP. By 2011-2012, it had fallen to 7 per cent of the GDP. In 2014-2015, the ratio had improved a little to 7.5 per cent of GDP. Household financial savings is essentially a term used to refer to the money invested by individuals in fixed deposits, small savings schemes of India Post, mutual funds, shares, insurance, provident and pension funds, etc. A major part of household financial savings in India is held in the form of bank fixed deposits and post office small savings schemes. A fall in household financial savings happened because the real rate of return on deposits entered negative territory due to high inflation. If a programme like Make in India has to take off, low household financial savings cannot be possibly a good thing. This hasn’t created much problem in the recent past, simply because bank lending to industry has simply collapsed. Banks (in particular public sector banks) are not interested in lending to industry because industry has been responsible for a major portion of bad loans in the last few years. But sooner or later, this situation is going to change. And then the low household financial savings ratio, will have a negative impact and push interest rates up. In this scenario, it is important that inflation continues to be under control and the real rates of return on deposits continue to be in positive territory. That is the only way, the household financial savings ratio is likely to go up. As Joshi puts it: “In today’s world of low inflation, India’s long-run inflation target should certainly be no higher than 4 or 5 per cent a year.” And that is something both the RBI as well as the union government should work towards achieving and maintaining. 1) I had to travel to Hyderabad by Air India AI544 which is to depart at 1315 Hrs… was told on time…reached airport by 1230 Hrs. 2) was informed at 1315hrs that flight was delayed as d pilot had not yet come.Waited up to 1345 Hrs, boarding didn’t start. returned 2 home. 3) Air India should explain how such things are happening. Transparency and accountability are the need of the hour. 4) Hope Air India understands that we are in the age of competition. Missed an important appointment. 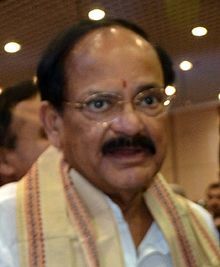 The tweets were sent out by senior BJP politician and the Union Minister for Urban Development, Housing & Urban Poverty Alleviation as well as Parliamentary Affairs, M Venkaiah Naidu. Naidu is a heavy weight in the Modi government. The fact that he took to Twitter to criticise the government owned airline means he must have been extremely irritated by the airline’s failure to depart on time. It was Naidu’s opportunity yesterday to have that kind of day. The sad part is that those who run Air India still don’t get it. The airline has managed to accumulate huge losses over the years and continues to survive on borrowing as well as equity infusion by the government (i.e. basically the taxpayer). This is nothing but what Ruchir Sharma calls privatization by benign neglect. As he writes in his new book The Rise and Fall of Nations—Ten Rules of Change in the Post-Crisis World: “India…has adopted a de facto policy of what I can only describe as privatization by malign neglect. The political class can’t bring itself to sell off the old state companies, or to reform them either. Instead, it simply watches as private companies slowly drive the state behemoths into irrelevance. Thirty years ago state-owned Air India was basically the only way for Indians to fly, but the rise of agile private airlines including Jet and Indigo, has reduced its share of flights to less than 25 percent.” As mentioned earlier Air India now has 14.7% of the domestic market share. The business flyer who is willing to pay a premium and for whom time is of utmost importance, has more or less abandoned Air India and moved on to other airlines. Guess, it’s time that minister Naidu also does that, the next time he has to reach on time for any meeting outside Delhi. And that is precisely what the previous governments did. The Narendra Modi government continues to run on the same principle. One doesn’t expect radical decisions from a government which couldn’t even push through a five basis points interest rate cut on the Employees Provident Fund(EPF). One basis point is one hundredth of a percentage. The airline business is a very tough and competitive business to be in. Any airline hoping to make a profit needs to be run by a professional who has some experience in the airline business. Air India has never had that luck for a sustained period of time. No such moves have been made by the current government either. This belief that bureaucrats and not specialists, can do everything, has been one of the primary reasons behind the degradation of India. At times it is very difficult to make sense of a country as complicated as India is. What complicates the situation further is the fact that we have very little data going around in many cases. But then there are broader trends, which one can comment on. One such thing is the demographic dividend or to put it more precisely India’s demographic dividend. Nearly eleven years back, when I didn’t understand much economics or finance, this was one of the terms I heard people connected with the investment industry, continuously talk about. India will do well in this decades to come because of its demographic dividend, they said. In fact, some of them are still talking about it. So what is the demographic dividend? As country progresses it moves from being a largely rural agrarian society to a predominantly urban society. Along the way it changes from being a society with high fertility and mortality rates to a society which has low fertility and mortality rates. The infant mortality rate in India was 75 in 1996. It has come down to 38 in 2015, data from World Bank shows. The infant mortality rate is essentially defined as the number of infants who die before reaching one year of age, for every 1000 live births during the course of a given year. Along with the infant mortality rate declining, the general technological advances as well as access to medical facilities have improved. This essentially means that in the coming years there will be a huge bulge in the number of young people in the country. In this stage, the workforce of the country will increase dramatically. There are multiple estimates of what India’s workforce will look like in the years to come. Most of these estimates essentially suggest that India’s workforce is increasing at the rate of one million workers per month and will continue increasing at this rate in the years to come. The Planning Commission, before it was disbanded by the Narendra Modi government, had made an estimate on India’s workforce in the years to come. And this is India’s demographic dividend. As these individuals enter the workforce, find work, earn money and spend it, the Indian economy is expected to do well. When economists and politicians talk about an economic growth of close to 10 per cent per year, they are essentially hoping that India’s demographic dividend will play out as it is expected. But the question is how likely is this? How have things with other countries been in the past? Have countries which were expected to benefit from the demographic dividend benefitted from it? If this were to continue, there will be no demographic dividend for India. I have heard this being said over and over again, over the years. Usually, the person saying it is a man. Usually, he is a successful corporate type who is in the habit of driving his team to meet unreasonable goals set by the organisation. Usually, he doesn’t like to take no for an answer. Usually, he is looking to encash his ESOPs at the end of the year. Usually, you will hear him say things like, this year we did Turkey, next year we plan to do New Zealand. Usually his heart is in the right place. It beats for his country. It wants the country to do well. And in the process, he ends up saying the nonsense that he does. In some cases, he is a Non-Resident Indian, living in the United States, the oldest and one of the most successful democracies in the world. In some cases, he is someone who has lived through Indira Gandhi’s emergency between 1975 and 1977 and is nostalgic about it. “You know, trains ran on time,” he says. I don’t know if they did, but at least that is the argument that is offered. And in some other cases, he opens the argument with the line: “Look at Singapore”. The people who argue in favour of benevolent dictators have basically this to say—countries in Asia that have done well, are those which have had autocratic regimes. India lost out because it was a democracy. As Ruchir Sharma writes in Breakout Nations: “Of the eight countries that quadrupled their incomes between 1950 and 1990, two (Taiwan and Singapore) were ruled by dictators during the entire period, one (South Korea) was ruled by a dictator during most of it, two (Japan and Malta) were democracies throughout the period and three (Thailand, Portugal and Greece) waffled between autocracy and democracy.” China has also had an autocratic regime through its period of economic development through the late 1970s. This is offered as evidence as to why India would have done much better if it had been run by a benevolent dictator and an autocratic regime. The trouble with this argument is that it looks at just one side of the equation—the countries which have had benevolent dictators and have done well. It doesn’t look at countries, which have had dictators and gone absolutely to the dogs. The African continent is littered with examples of such countries. Closer to home, there is Pakistan. Look at the mess the country currently is in. Or look at what has happened in a country like Myanmar. But that is the wrong question to ask. The question that needs to be asked should be exactly the opposite—if a country is governed by an autocrat what are the chances that it will be a growth success? “The relevant probability is whether you are a growth success IF you are an autocrat, which is only 10 percent,” writes Easterly. To put it simply—most fast growing nations are ruled by autocrats. Nevertheless, most autocracies do not grow fast. The point being, if the government in a country is being ruled by a dictator, there is no way to figure out in advance, whether he will turn out to be a disaster or be benevolent. The question is why do so many educated middle class Indian men believe in the idea of a benevolent dictator then? (I know I am stereotyping here, but I have experienced this many times over the years). This leads people to believe that airplane travel is unsafe. But what they don’t realise is that the media does not report about the thousands of planes that land safely every day all over the world. It also does not report the many car crashes that happen all over the world every day, unless a celebrity is involved. When it comes to the idea of a benevolent dictator, this phenomenon is at play. Indians who go to countries like Singapore and China, see how much progress the country has made, and come to the conclusion that autocracy leads to economic growth. But these individuals never go to Pakistan, so that they can see that the opposite is also true. Or Myanmar for that matter. The media with its stories of China’s progress also has a role to play. But then the stories of how much mess dictators have made in Africa, over the decades, never really make it to the Indian press. In a few weeks, it will be the seventh anniversary of the start of the current financial crisis. The fourth largest investment bank on Wall Street, Lehman Brothers, filed for bankruptcy on September 15, 2008. A day later, AIG, the largest insurance company in the world, was nationalized by the United States government. A week earlier two governments sponsored enterprises Fannie Mae and Freddie Mac had also been nationalized by the United States government. In the months to come many financial institutions across the United States and Europe were saved and resurrected by governments all across the developed world. Some of them were nationalized as well. Economic growth crashed in the aftermath of the financial crisis. Central banks and governments reacted to this by unleashing a huge easy money programme, where a humongous amount of money was printed(or rather created digitally) in order to drive down interest rates, in the hope that people would borrow and spend, companies would borrow and spend, and economic growth would return again. And how are we placed seven years later? It would be safe to say that despite all that governments and central banks have done in the last seven years, the world hasn’t returned to its pre-crisis level of economic growth. 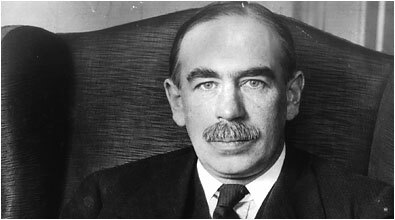 In fact, if we go by what the greatest economist of the twentieth century, John Maynard Keynes, wrote in his tour de force, The General Theory of Employment, Interest and Money, a large part of the developed world is currently going through a “depression”. Hence, if we go as per what Keynes said, depression is a scenario where economic growth is below the long-term trend growth. And that is precisely how large parts of the global world have evolved in the aftermath of the financial crisis. As Rickards writes: “The long-term growth trend for U.S. GDP is about 3%. The United States economy accounts for nearly one-fourth of the global economy and if it grows slowly that has an impact on many other economies as well. China, another big economy, has also been growing below its long term growth rate. Between 2003 and 2007, the Chinese economy grew by greater than 10% in each of the years. It slowed down in 2008 and 2009 as the financial crisis hit, and grew by only 9.6% and 9.2% respectively. In 2010, the economic growth crossed 10% again with the economy growing by 10.6%. This was after the Chinese government forced the banks to unleash a huge lending programme. Nevertheless, growth fell below 10% again and since then the Chinese economy has been growing at below 10%. In fact, in the recent past, the economy has grown at only 7%, which is very low compared to its rapid rate of growths in the past. In fact, much of the economic growth that has been achieved through large parts of the developed world has been on the basis of more lending carried out at very low interest rates. Data from the latest annual report of the Bank of International Settlements based out of Basel in Switzerland, suggests, that the total global debt has touched around 260% of the global gross domestic product (GDP). In 2008, it was around 230% of the global GDP. Ideally, I should have written this column last week, but this trend isn’t going anywhere anytime soon. On August 11, 2015, the People’s Bank of China, the Chinese central bank, engineered a 1.9% cut in the value of the Chinese yuan against the US dollar. This was the largest single day cut in the value of the yuan against the dollar in two decades. The Chinese yuan doesn’t move freely against the dollar. The People’s Bank of China controls its value. Before last week’s cut, 6.2 yuan equalled a dollar. As I write this on August 17, 2015, around a week later, 6.4 yuan are worth a single dollar. The value of a currency is a big variable for exporters. But by ensuring the yuan had a fixed value against the dollar, the Chinese central bank took this variable out of the Chinese exporters’ equation totally. This helped Chinese exports and exporters flourish and has been a very important part of the Chinese economic miracle. Nevertheless, Chinese exports have been falling lately. In July 2015, Chinese exports fell by 8.3% compared to a year earlier. Even in June 2015, the exports had gone up by only 2.8%. A major reason for this is that the Bank of Japan, the Japanese central bank, has rapidly driven down the value of the Japanese yen against the dollar. In October 2012, 80 yen made up a dollar. As I write this, around 124.5 yen make up for a dollar. This has made many Japanese exports more competitive than China’s. Further, it has made imports into Japan more expensive. This caused Chinese exports to Japan between January and July 2015 to fall by 10.5%. So it’s not surprising that the Chinese authorities pushed down the value of the yuan against the dollar. 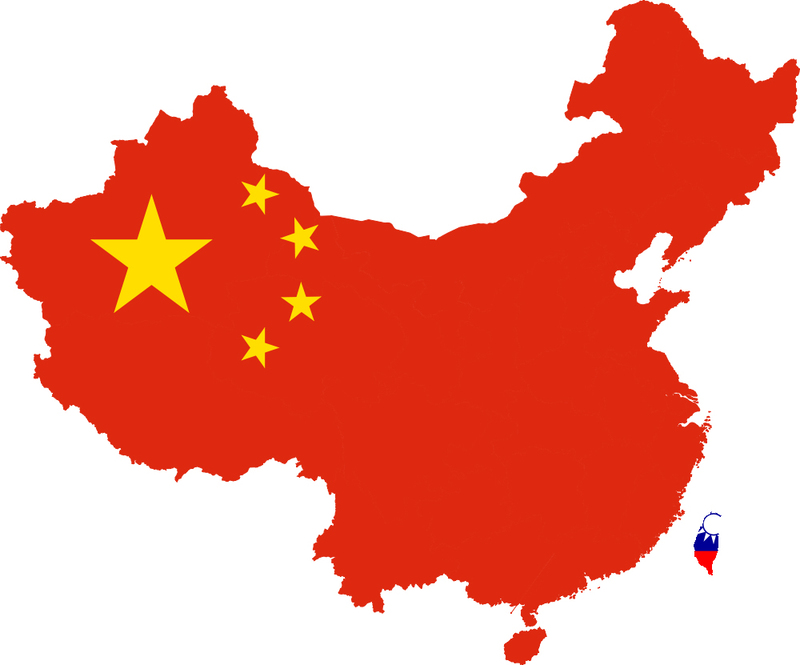 Their goal is to boost Chinese exports while making imports into China more expensive, thereby pushing the sales of local Chinese made goods and boosting economic growth in the process. The People’s Bank of China decreased its foreign exchange reserves by $300 billion over the last four quarters. In other words, in a bid to keep the yuan at 6.2 for every dollar, the Bank has been selling dollars from its kitty and buying up yuan, which is essentially money being taken out of the country. The People’s Bank doesn’t have an unlimited supply of dollars. At some point, it had to let the value of the yuan fall against the dollar, which is precisely what it did last week. For years on end, China has grown at double-digit rates. But recently, as global demand has fallen in the aftermath of the financial crisis which started in 2008, economic growth has slowed to 7% per year. In fact, many China followers believe the official 7% figure is an overstatement. Most China experts and analysts fail to mention this, but it is important to understand that economic growth gives legitimacy to the unelected communist government that runs China. This phenomenon was at play in the recent past, when the Chinese government tried to do everything to stop the stock market from falling. It banned investors with more than a 5% holding in a company from selling shares and it directed big financial institutions to invest in the stock market. These moves were to prop up stocks, but mostly to maintain political legitimacy. This easy money first led to a property bubble, which was followed by an infrastructure bubble and a stock market bubble. The point is that the Chinese politicians will do whatever it takes to keep the economic growth going. So expect the devaluation of the Chinese yuan against the dollar to continue, as China tries to push up its exports again. What does this mean? Well, the race to the bottom isn’t exactly rocket science. With the yuan’s value now down against the dollar, chances are that the Bank of Japan will respond by printing even more yen, in a bid to further drive down the value of the yen against the dollar. The South Korean central bank may also do something along similar lines in order to drive down the value of the won [the South Korean currency] against the dollar to protect its exports. This in turn will lead to the People’s Bank of China to push the yuan down even further against the dollar. Rest assured, the currency wars in Asia will continue.